Bisecu reinvents smart bike lock. It's the first fully automated smart bike lock with riding data analysis. Go to Kickstarter for further information and to get your own Bisecu! Bisecu introduces an all-new smart bike lock. The truly effortless device with auto lock and auto unlock features never before possible. Bisecu. A new generation of smart bike lock. Bisecu syncs with your smartphone via bluetooth and measures signal strength to recognize the distance between the device and you. 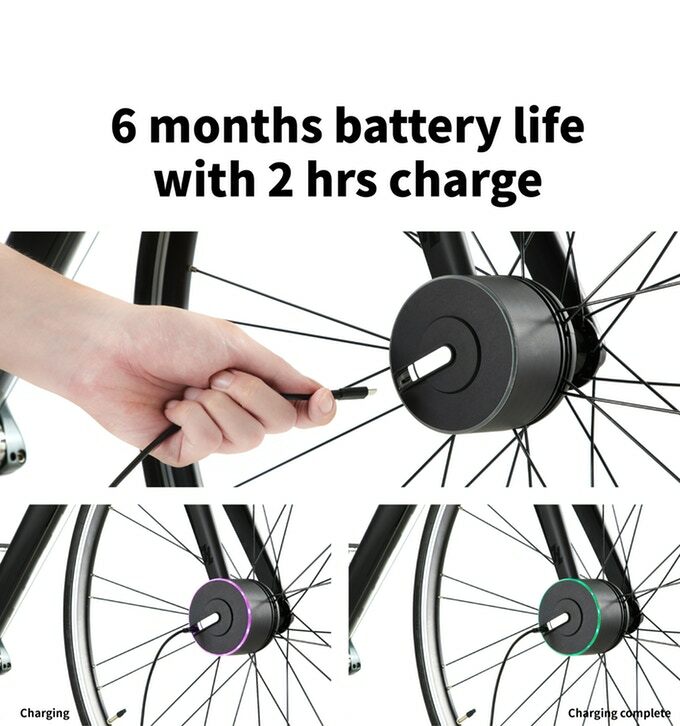 Bisecu automatically locks your bike as you walk away and unlocks your bike as you approach to it. Bisecu engineers always wanted bike lock to be a truly automatic device, free from keys, crouching on the floors or button triggered operation. With invisible lock mechanism and bluetooth wireless connection, Bisecu is designed for the next generation riders. Inside, Bisecu has implanted newly designed proprietary invisible locking structure. This unique locking structure enables to build the smart lock even smaller, lighter form factor. And it is impossible to cut from outside. Bisecu is the lightest smart bike lock thanks to the new form factor. It is even lighter than a cup of coffee, which means ⅓ of conventional U-lock with over 1kg. Bisecu offers the most convenient, hassle-free experience when you go down the stairs or take public transportations. Bisecu has advanced security with 100db loud alarm with mobile push notification. The blinking LED light is also visible day and night to detect theft or tampering. With Bisecu, you no longer need to worry about it. Bisecu has integrated precise and sensitive 3 motion sensors. These sensors always operate when you lock your bike or ride on it. The 3 precise, sensitive motion sensors on Bisecu always keep track of your riding. It analyzes your speed, average speed, distance, and travel time in real time, and you can review your riding data summary through mobile application. The speedometer sensor is as accurate as Garmin Edge 520, which costs $250 at retail price. Moreover, the wheel rotation data refresh rate is even faster than Garmin Edge 520. The led lights turn in response to your riding speed. You can easily check your speed. And safer at night. Bisecu’s integrated 3 sensors sense all motions and slope of your bike on the ride. When one of these sensors sense your bike’s motion, auto-lock does not operate. Thanks to these sensitive sensors, Bisecu will only be locked when your bike is at stop. It does not matter whether your smartphone is turned off or you are on the ride. When you bike is on lock mode, Bisecu cover will be closed and impossible to take apart. Only Bisecu user can unlock the device and open the cover.